Reserve Your A Plus Coach Luxury Limousine today! Featuring deluxe casino hotel and resort accommodations, fine dining, a wide variety of entertainment attractions and shopping in Connecticut! Any time day or night, you can have the time of your life at Connecticut’s hottest spot for top entertainment, fine dining, and exciting casino action! Only Foxwoods offers 340,000 square feet of incredible gaming space, over 7,000 slot machines and 400 tables for 17 different types of table games, including 100 for poker! 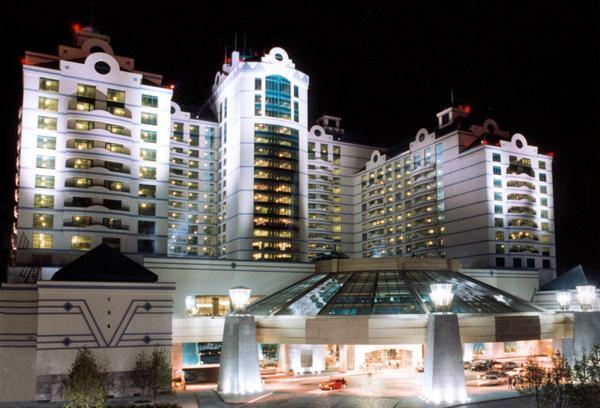 Foxwoods Resort Casino is one of the premier entertainment destinations in the Northeast as well as the largest resort casino in North America, featuring huge gaming rooms, including a 3,600-seat bingo hall, plus restaurants, shopping, a hotel & shows. Leave the driving to us! A Plus Coach offers a VIP Foxwoods Casino package perfect to celebrate any special occasion, such as Bachelor/Bachelorette Parties, Nights Out on the Town, Birthdays, Anniversaries, Employee Appreciation, or just to get away from it all! Make Your Reservations Online for Our Exclusive VIP Foxwoods Casino Limo Service! ALL FOXWOOD SPECIALS PRICES LISTED ARE PER HOUR – FIVE HOUR MINIMUM. PRICES DO NOT INCLUDE A 7.5% FUEL SURCHARGE OR GRATUITIES FOR THE DRIVER .